While both money market deposit accounts and money market funds work well for parking your surplus cash, several worthy alternatives exist, some of which offer more ideal terms and yields depending upon your specific needs and investable assets. The alternative that best fits your situation depends upon a number of factors including how accessible you need your funds, the amount of interest you'll receive for your investment size, whether you like DIY account management or prefer working with a service rep, and any penalties if your plans change and you need to get your money out sooner than anticipated. It might sound old-fashioned, but sometimes nothing beats a passbook savings account. As a safe alternative to money market funds, savings accounts pay fairly low interest, but banks often have low minimums to open the account. You'll have instant access to your funds through an ATM, the backing of the FDIC in the event of a bank failure, and the convenience of a local branch office. Although people often get the two accounts confused, a money market deposit account works differently than a money market mutual fund. This account, typically offered by brokerage firms, more closely resembles a savings account. Some money market deposit accounts even offer check-writing privileges and other features similar to a regular bank account. While this type of account yields higher interest than a bank savings account, it also usually carries a fairly substantial minimum balance requirement. Certificates of deposit, or CDs, are fixed-income investments that involve you depositing, or "lending" money to the issuing bank for a predetermined length of time—e.g., 3 months, 6 months, 1 year, 2 years, 5 years, 10 years—in exchange for a fixed yield. Usually, the longer you are willing to lock up your money, the higher the interest rate you'll receive. Depending upon your chosen maturity date, CDs may pay higher interest than money market deposit accounts. 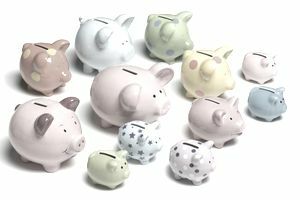 As with savings accounts, CDs are insured by the FDIC up to the in-effect limits, though you can often extend those limits to as high as $1.25 million through the use of techniques like using payable-on-death designations. On the downside, if you need to liquidate your CD before its maturity date, you'll be charged a penalty. If you have more cash than the FDIC insurance limits cover and don't want to deal with spreading it across multiple banks, consider putting your cash reserves into a TreasuryDirect account with the United States Treasury Department. A TreasuryDirect account boasts some of the highest security in the financial industry, as it offers the ability to invest your money into treasury bills, notes, and bonds issued by the United States Government and backed by that same government's unlimited taxing power and constitutional obligation to repay its liabilities. Bond funds, while introducing some risks, can be a decent alternative to money market funds and might even return a higher yield. Just like stock mutual funds, bond funds pool money from many investors to invest in a variety of different bonds, with a unified investment objective. This allows you to efficiently diversify your investment into many bonds rather than investing in the bonds of one company, such as individual corporate bonds. A bond fund allows for smaller investments and makes sense for holding longer term. Keep in mind that you'll pay a yearly management fee and a commission, or load when you make your investment. Bond ETFs, launched by certain asset management firms, seek to combine capital preservation with maximum liquidity. While bond ETFs invest money into a group of different bonds, like bond mutual funds, they have a few differences, such as lower fees and full transparency regarding which bonds the ETF holds at any given time. You would purchase shares in a bond ETF through a broker rather than a mutual fund company. They're traded on the open market like stock, and you can buy on margin or sell them short, unlike bond mutual funds. While bond funds make better sense for a longer-hold strategy because of the fees involved, bond ETFs work well for investors who want to buy and sell shares frequently.